Just a quick note to let you know about a brand new list builder that is being launched today. This time it’s from my long-time friend and marketing comrade Stefan Berg. I know. These new list builders keep getting released but so far they have all been producing incredible results so I see no reason not to keep using them. Stefan has really gone the extra distance though to make this list builder unique and I think you will really benefit from his hard work. What makes The Lead Magnet special? The Lead Magnet is being launched today at 10 AM EST. Join Now and get 700 free Credits and a Special Bonus just for signing up! Here is the latest list of upcoming JV giveaway events that are seeking contributors as of November 9, 2010. Since then I have made it a point to call out the scam sites whenever I see them. It’s been a lot of fun and I think it has put a spotlight on a lot of the people promoting this junk. I suspect most of the people promoting these things are ignorant to how bad they are but at least I think people are starting to think twice before investing their money in them. This all started with with the “profit sharing” scams which are now popping up all over the place. However, now it appears that “doublers” are starting to make a come back. Doublers are nothing new. In fact they were quite the rage a few years ago. Here’s how a doubler works. It’s basically a straight line matrix. In a perfect system you pay your entry fee and you receive a position at the bottom of the matrix. Every time 2 new people join the matrix the person at the top receives double their money back and is removed from the list. So if you are in position number #1, you double your money when spots #2 and #3 are filled. The person in the #2 spot doubles their money when positions #4 and #5 are filled. These things move like crazy when they first launch because everybody wants to be in the top spot. However things quickly slow down as the number of members needed to get paid gets higher and higher. The person in the #50 spot needs to wait until member #100 joins to double their money. The person in the #100 spot needs to wait until member #200 joins. #1000 needs to wait for #2000. I said this is how it works in a perfect system. In reality doublers are never a perfect 1:2 ratio. The people running the site need to get paid too, right? Then we add in affiliate commissions to get people to promote these sites and it really ends up being closer to a 1:3 ratio. This is what is called a money game. If you join early you can get lucky and make money from the people who join after you. However if you join too late you may find that you will never get your money back because all doublers eventually stall out. We already know it is better to join a doubler right when it launches. Well the people running these sites know this too. There is no reason for them to continue promoting a doubler that already has a few thousand members in it when it is far more profitable to launch a brand new doubler. This happens over and over again. Most of the members know that doublers eventually stall out too. Would you rather invest your money into a doubler that already has a few thousand members or wait and join that brand new doubler that is launching tomorrow? I used to follow doublers quite closely when they were popular a few years ago. I have never seen a doubler last for more than 1 month before stalling out. I’ve seen a couple of really popular doublers last a few weeks. In reality most doublers only last for a few days. I’ve even witnessed more than a few that only lasted a few hours before stalling. When a doubler stalls the vast majority of members will never get their money back. Yes, some people will make money but they do so at the expense of many others. This is a classic ponzi scheme and is considered quite illegal. I’ve only seen two new doubler sites but you can bet your money that over the next few weeks we are going to see dozens of new ones being launched. Lots of money is going to be changing hands. The owners of these sites are going to make a killing while thousands of people are going to lose their hard earned money. So to summarize… doublers are bad, mmmkay? Just say no to doublers. Now, how long do you think it will be before “randomizers” make a come back? I just wanted to write a quick post to let you know about a brand new viral list builder that is being launched by my good friend Darren Olander called Adchiever. Yes, I know there’s been a lot of new viral list builders launching lately but Adchiever is different. Darren has put together a mailer that actually rewards you for being an active member. This is like nothing else I have seen before and if Adchiever works the way I think it will you should expect to see the responses to your mailings go through the roof. Pre-launch for Adchiever begins today at Noon EST! If you join Adchiever right now I even have some special pre-launch promo codes you can use. These are only good for the next 48 hours so don’t miss these! Darren is also offering a killer discount on the Adchiever upgrade. You will see the discounted offer only once after joining so pay extra close attention. You won’t get a second chance at a deal like this. The official launch date for Adchiever isn’t until next week so this is your chance to get a head-start on your competitors. After next week I have a feeling we are going to be seeing Adchiever everywhere! Remember, the Adchiever promo codes only last for 48 hours, so if you wait to join and then try them later, don’t blame me if they are not accepted. Click the banner below to join Adchiever now! It’s the first of the month and that means it’s time for another update on the best safelist and viral list builders that I am currently using. So last month someone asked me what I dislike most about safelists. I didn’t have to think about it too long before telling them how much I hate the 24-hour submission rule. You see, most safelists and viral list builders limit your mailing to once ever 24 hours, or 48 hours, or 72 hours. Basically it means submitting at the same time every day and not a minute earlier. Unfortunately no matter how punctual you are you almost always end up a few minutes late which pushes your start time later and later every day. Eventually you find yourself up at 3:00 am waiting to submit your sites so you can go to bed. Due to the 24-hour submission time I probably lost at least 4 or 5 days of mailings last month. I’m sorry, but I am not always thinking about safelists at 3:00 am and if I forget it’s going to be at least another 8 hours before I am awake. It seems like having an 18-hour submission cycle would make life so much easier, but that’s just me. That’s enough ranting.. what else is new? Quick List Profits launched at the beginning of last month. New mailers always seem to generate a lot of excitement when they launch and this one was no exception. They already have 3539 verified members and placed really well in my ranking below. Let’s hope the momentum continues. I’ve been bad. 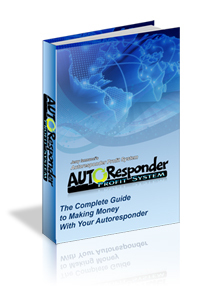 One of the first sites to launch using the script that Quick List Profits is on was called Instant Profit List. At the time I didn’t know how to categorize the site and so it’s stats weren’t being saved along with my other safelists. It turns out Instant Profit List has been one of my most responsive mailers over the last few months but I have neglected to include it in my reports. That ends today! Check the stats below to see how well Instant Profit List is performing. 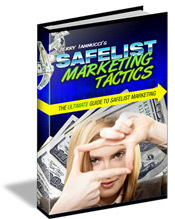 List Building Maximizer made an interesting move last month. To celebrate their 10,000th member they decided to offer $10 solo ads for 10 days (they are usually $25). This resulted in a flood of solo ads being sent to my inbox every day. If that wasn’t bad enough as soon as the promotion ended they started offering $12 solo ads for 12 days. This should have made the regular mailer virtually worthless but surprisingly my stats weren’t down too much. It did just miss making it onto the stats list below but only because of the two new additions. What you see below are my link tracking stats for several splash pages that I am promoting on a rotator in various safelists and viral list builders. Yes, I have upgraded memberships in almost all of these sites so take that in consideration if your numbers aren’t as high as mine. Considering how many days I missed last month those numbers aren’t looking too bad. Big congrats to List Joe for making it back to the top again just barely beating out State of the Art Mailer. These two sites are both equally awesome and I am glad to be a member of both. I would also like to welcome Quick List Profits and Instant Profit List as the newest additions to the top list. As I mentioned earlier Instant Profit List should have been added months ago but better late than never. I guess that’s it for this month. As usual these stats are the result of my own efforts using my own splash pages. Depending on what you are promoting and how often to are promoting it your results may vary. Of course the only way to know is by tracking your own ads. You can get free link tracker that will track all of your ads from TE Toolbox.